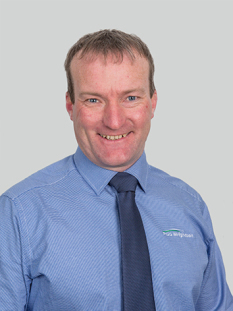 Coll MacCormick, originally from Scotland, has spent the last 20 years working in the New Zealand agricultural industry. Through buying and selling his own rental properties, Coll developed an interest in a real estate career, and we welcome him into our PGG Wrightson Real Estate team. Coll’s knowledge of the industry, from both a buying and selling perspective, stands him in good stead to understand your needs as a prospective vendor or purchaser. "We were pleased to have Coll sell our house in Central Otago, as it sold very quickly. Coll listened to our needs and was good at keeping us up-to-date with information and proceedings. His balance of humour and professionalism made it a pleasure to work with him."